At this stage in the game – we’re at episode 22 now – we more or less expect someone to be dead before the opening credits have rolled. But Man in the Mirror rings the changes a touch – there’s a dead body in the opening shot. The plot is slight and utterly fanciful and centres on Venus Smith – in a stripy t shirt and wearing that 1960s hat faintly modelled on the soldier’s shako (funny how the lovin’ decade loved its military regalia) – visiting a funfair with her dog. 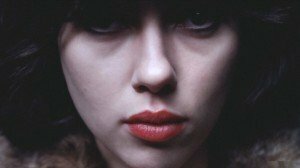 She takes some snaps and, when they’re developed, it turns out that in one of the shots is the dead man, alive as you like, reflected in a mirror. Steed, meanwhile, late for a briefing, has been busted down to office duties after mounting a magisterial defence of his tardiness and is set to work on the case of a ciphers clerk who might have been selling secrets to the enemy. No prizes for guessing that the clerk and the dead man and the guy in the photograph are one and the same. Being a Venus Smith episode, a song or two is in order, and we soon get one as we cut to a studio where the chanteuse is laying down some tracks with a jazz combo. If Smith’s songs seem unnecessary, Steed’s demotion is also an odd detail. It’s thrown in as if it’s going to be pivotal, but in practical terms he seems unaffected by it and is soon carrying on pretty much as usual, visiting the funfair, interacting with Venus Smith and setting about cracking the case. It’s a dog’s breakfast of an episode, relying on luck for its breakthroughs rather than detective work or insight, but there are some bright points. Ray Barrett is in it, for starters. A familiar face on 1960s/70s TV, the Australian Barrett was a go-to actor who brought a thoughtful edge to the various bruisers he played. Here he’s a heavy at the funfair. Writers Geoffrey Orme and Anthony Terpiloff seem quite interested in the relationship between the funfair owner (Julian Somers) and his disgruntled girlfriend/potential wife (Daphne Anderson), and there’s a fair bit of Armchair Theatre-style badinage/bickering between the two of them. More usually in The Avengers, the back-and-forth is between Steed and his female companion. 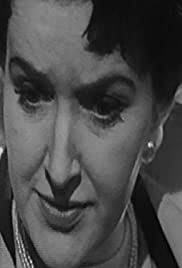 Talking of which, the women in this episode – the dead man’s spiky wife (Rhoda Lewis) excepted – tend to be of the doormat variety, which isn’t The Avengers way at all. It all feels as if it’s been cobbled together in a hurry, right down to the hall of mirrors finale which the script seems to be setting us up for. Mark this one down as missable. Venus Smith's camera and film are stolen at a fair. 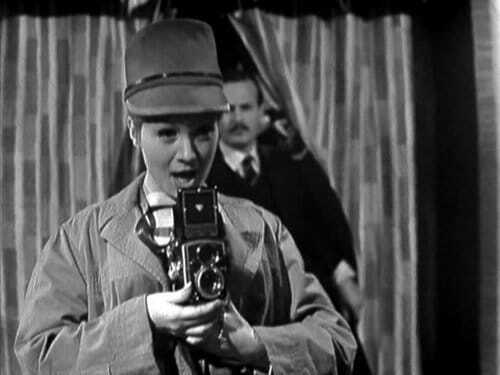 When Venus develops the one roll remaining in her possession she discovers she has taken a photograph of a man thought to have committed suicide days earlier.